Who’s not a sucker for a good paperback? Over the past 5 years I’ve morphed from a self-proclaimed non-reader to an avid doggy-eared paperback collector. I can’t get over the fact that paperbacks just… feel good. They smell nice. They have a sound, a weight, a body. It gets more awkward. I’ve WRITTEN an ebook. And I don’t read ebooks. Yup. I’m swapping coasts, moving to San Francisco, and from what I’ve heard I’ll have a tough time fitting a book collection inside of a shoebox in SOMA. Tough break. But my books.. they’re mine. To look at man’s book collection is to take a peek at his psyche. You see the stories and knowledge that has shaped his mind. How do you get rid of your most prized possessions? The first concession— “I want them to go to good homes”. Like, I want people to actually read them. To see what I saw. To find value in the words that I’ve gotten so much out of. But how? Do I give them away? To friends? Do I just cram them into a box and drop them off at Goodwill? What if I could share them with people I’ve never met? An unrealistic idea quickly took shape into something real. That’s it! I’ll give the books away for free to strangers on the internet who WANT them. An experiment. And just like that, bookshare.io was born. 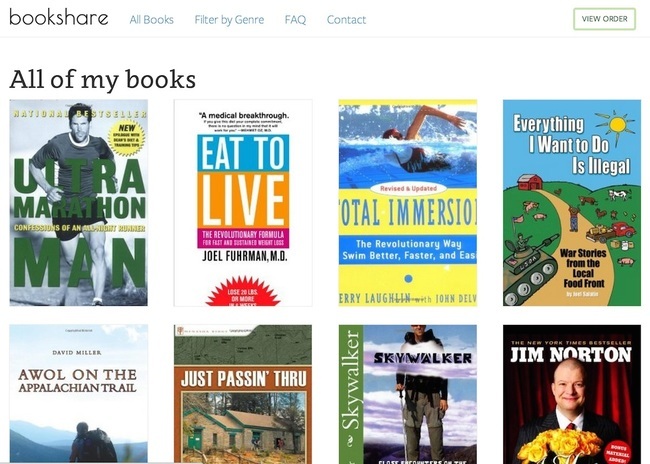 I built bookshare.io in about a week. The premise was simple. I’d list all of my 130+ books (yes, I’ve read each one, cover-to-cover). Anyone can pick up to five books, pay about $8 for flat-rate shipping and get them for free. I avoided any “manual labor”, like having to type in every book title and description, by building (my first) iPhone app to scan the ISBN barcodes and download the title, description, and cover art from Amazon and Google Books. I launched the site on 3/25 at 11PM, and by morning all but the last 21 books were spoken for. The reception was incredible— I collected over $500 in shipping fees and optional donations within the first 3 hours of launch. About 50% of people claiming books chose to donate an extra $3 to pay for the hosting costs (like Heroku, Namecheap, and CloudFlare). But, more importantly, all of my books will go to good homes. P.S— Want the nitty gritty details on exactly what tech I used to launch the bookshare? Read the in-depth post here.